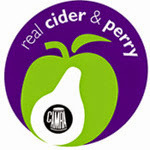 Here's a great real cider review site from a guy by the name of James Adams. James is reviewing ciders from across the globe as well as local Australian producers. Keep an eye on this guy, we think he'll become the Robert Parker of cider!! In fact we know he will. Excellent, articulate, non biased views and knows what he's talking about when it comes to cider making / process. Exactly what the cider industry needs! Further evidence cider is undergoing a serious makeover is the excellent blog, allaboutcider.blogspot.com.au, the work of fourth-generation Barossa winemaker James Adams. His day job is at Hewitson wines but the blog is clearly a consuming passion for the 28-year-old. It has an up-to-date directory of Aussie cider makers, insightful reviews and Cider Apples 101 - so you can know your Improved Foxwhelp from your Bulmer's Norman. Adams says his winemaking kin are mildly shocked at his ''converting to cider''. This includes planting his own orchard with 30 different cider apple varieties and plans to launch his own cider. 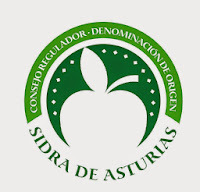 In the meantime, his blog is a great source of information for serious cider fanciers. "Long time cider enthusiast and connoissuer James Adams, presents the Dupont Estate in his blog All About Cider". 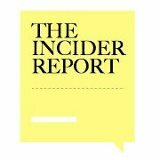 "A write up, by the rising star of Australian cider James Adams, on the judging process can be read over on his blog All About Cider"
http://theinciderreport.wordpress.com - Simple Red (Apples) Pagan Apple Cider review.